Our modern view of quality is a multifaceted conglomeration of probability, planning, and perception. 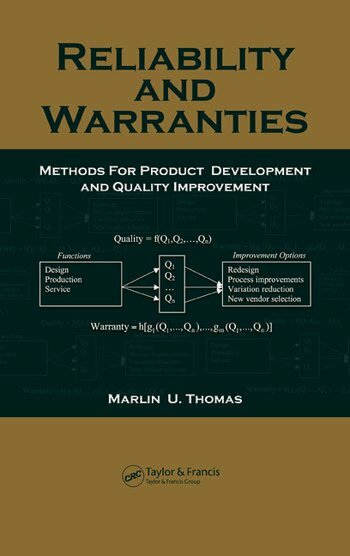 Although warranties are important first as an estimate and then as a measurement of reliability, most books on reliability and quality relegate the topic of warranties to a single chapter. Today’s engineering student needs an integrated view that considers all aspects that contribute to overall quality along with methods to analyze, predict, measure, and improve each component. 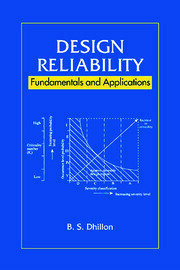 Reliability and Warranties: Methods for Product Development and Quality Improvement provides this unified treatment along with illustrative examples, end-of-chapter problems, and background material. 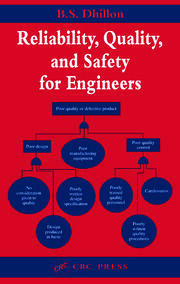 Based on the author’s distinguished experience as a practicing engineer and educator, this text supplies students with a modern education in quality engineering and the skills and knowledge necessary to succeed in the real world. It begins with preliminary results for dealing with failures followed by the modern definition and view of quality, various types and models for warranties, quality improvement, and perspective for achieving reliability and quality goals. It also includes a unique framework for measuring and tracking overall quality performance. Ideal for senior undergraduate and first-year graduate students taking courses on quality, reliability, or industrial engineering, Reliability and Warranties presents a practical, thoroughly integrated path to meeting both engineering and customer quality goals.